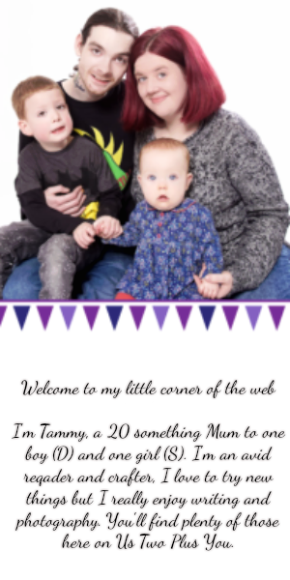 For this weeks My Sunday Photo I am sharing a photo of D. It's not anything amazing or even a photo filled with colour but I wanted to share the story behind the photo. It all started on Friday night/ Saturday morning at 2am when D woke up and came to Simon telling him he didn't want to sleep in his bed because there was a flying ham in it! Now Simon like most people when face with a child talking about a flying ham just thought he had a bad dream and let him get into bed with him. D proceeded to tell Simon all about his flying ham, The flying ham kept talking while D was trying to go to sleep. It was also messing about at his window and was trying to open it! Not only that but the flying ham was being bold and not listening to D when he told it to stop. At this point Simon was pretty confused and eventually got D to lie down and go to sleep. On Saturday morning when I woke up I was faced with D asking over and over again for flying ham! I had no idea what he wanted and even took him to the kitchen in search of 'flying ham', to no avail. In the end I asked D to take me to his flying ham, after posting my confusion on Facebook. D took my hand and walked me up to his bedroom while telling me the flying ham was trying to open his window and that it was in his bed waiting. We got to the bed and there was nothing there! Well I was wrong, D pulled back the blanket and siting on the bed was.. a small square of toilet paper which D proudly held up saying "my flying ham!" You would think that would be it right? This wonderful flying ham that can talk and open windows had been found. The toilet paper had to come back down stairs with us where D rolled it up into a small ball and spent the next hour or two talking to it and having a conversation. He was so incredibly happy with his flying ham and their conversation. He came over to me countless times to tell me all the things they where talking about. To name a few the flying ham was sad the sun was gone, it had eaten all the popcorn, it wanted to go outside with us and last but not least it wanted to get it's photo taken with D. That is the photo I am using for My Sunday Photo this week. We where going out a little while after the flying ham had stopped talking and needed "a little rest". Myself and D got dressed and where almost ready to go when D piped up asking if his flying ham could come too. The answer was no! 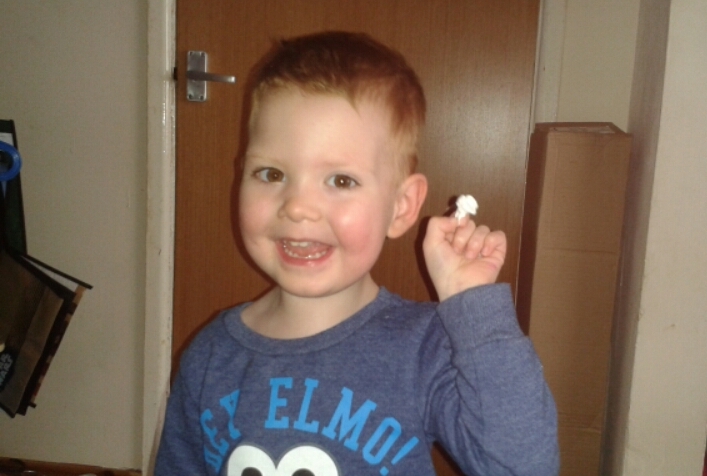 There was no way I could try getting D throuh shops in town with his little piece of toilet paper in tow while he talked to it and eventually it would go missing. In the end I asked D if it was time for the flying ham to go home> He very reluctantly agreed. While I thought D wasn't looking I threw the piece of toilet paper in the buin but boy was that the wrong move! D had seen me and was very upset! I had to tell him that he could get another flying ham when we came home just to leave the house. It was one very funny morning in our house and I love that D has such an active imagination that one tiny piece of toilet paper can become something that isn't even in the world! 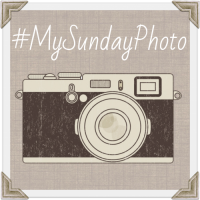 As ever we are linking up to Photalife for #MySundayPhoto You can visit Darren's blog by clicking on the badge below.